Home > insect media	> Insect Media is out! It was one of those projects really fun to write – even if raising a couple of eyebrows when trying to tell what it is about — to write modern media history from the point of view of these tiny animals. 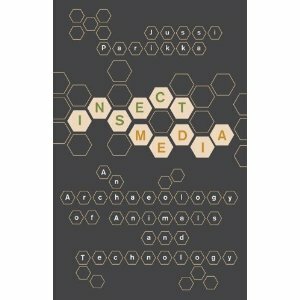 Not only a book about swarms, or recent years of media theory and media design that borrow from animal studies and understanding of insect life – but a wider take on the intertwining of animals and technology in modernity. A parallel methodology of theory in combination with cultural history, or let’s say “media archaeology”. A big thanks to University of Minnesota Press, and Cary Wolfe, who accepted this to his Posthumanities-series…such an honour to be there, among so many fabulous academic writers.